Kernel for OST to PST has amazing set of options at every stage of operation, I must say options for doing everything. For searching OST files, for saving data, for filtering, and for analyzing the file content. And the tool is not that difficult to use too. I purchased this tool many years back and I was a little surprised to see that its license was for lifetime, and I could upgrade to the latest version without any additional payment. The updated version has many new features added to it. I needed to recover some email messages which had been deleted several years ago and the only “archived’ source was an old volume snapshot backup containing the OST file. I recovered emails with Kernel for OST to PST converter. The solution allows smooth migration of OST items to PST file. 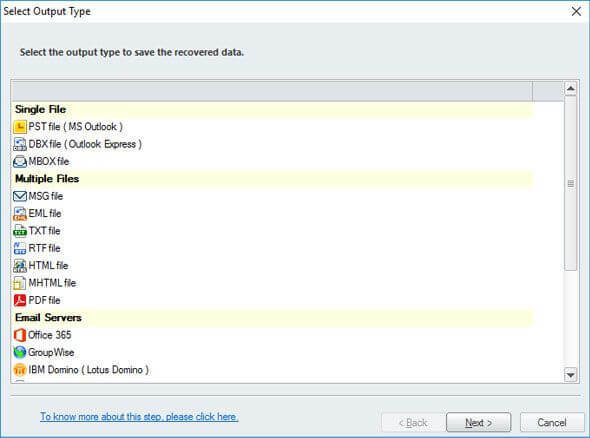 It lets you export OST file to all versions of Outlook (PST file) like 2019, 2016, 2013, 2010, 2007, 2003 and prior versions. 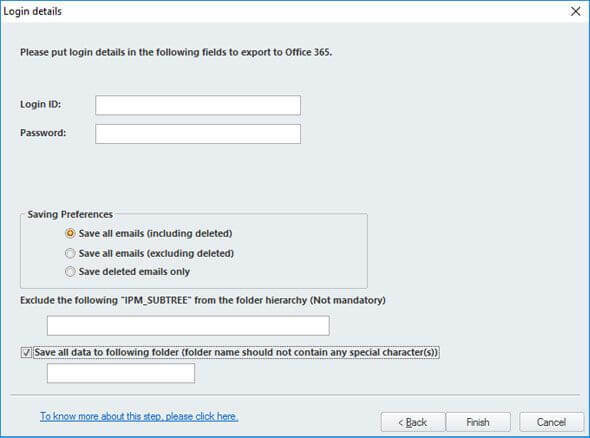 You can export OST file items directly to a cloud-based Office 365 mailbox without any data loss. It involves no complex steps to import/export OST file to Office 365. If your OST file is corrupt or inaccessible, Kernel for OST to PST converter helps you to repair it immediately prior to conversion. 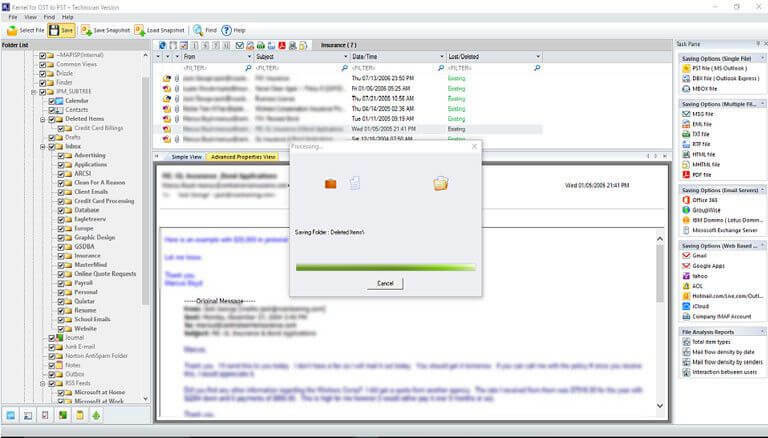 It provides a secure mailbox recovery (of existing/deleted emails, attachments, calendar items, etc.) against all OST corruption issues. 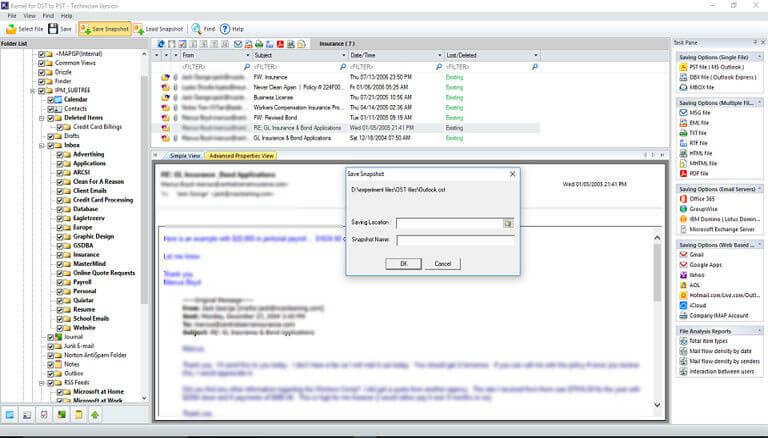 The OST to PST converter allows you to migrate your OST file data straight to the connected email server – such as Exchange Server, Lotus Domino, and Novell GroupWise. 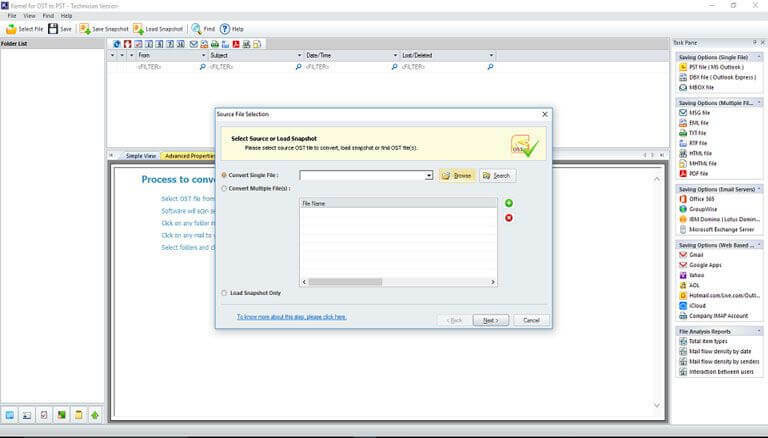 The solution allows to restore OST to all versions of MS Exchange Server like 2019, 2016, 2013, 2010, 2007, 2003, 2000, 5.5 and 5.0. Besides the option to convert OST to PST file, you can quickly export OST data items to several web-based emailing platforms like Gmail, Yahoo, iCloud, Google Apps, Outloook.com and AOL. The OST to PST converter provides an additional benefit to migrate OST data to MBOX file of Apple Mail, Thunderbird, Entourage, Eudora, Postbox, Netscape and many more. 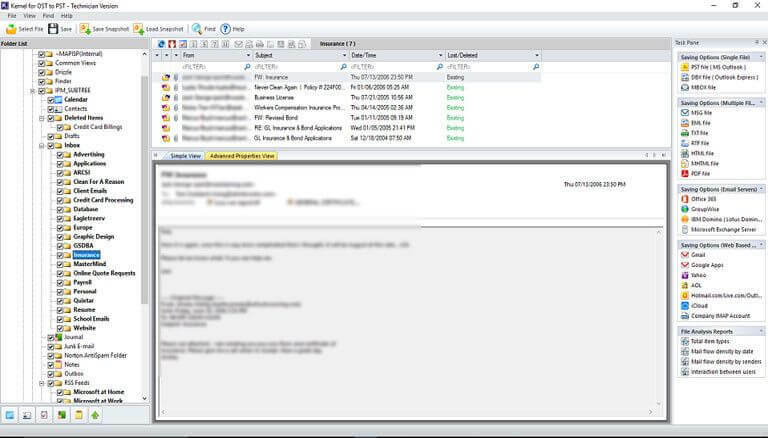 The solution not only provides OST recovery, but also allows full mailbox preview of the contained emails (with attachments), tasks, calendar entries, contacts etc. within the Software Console. 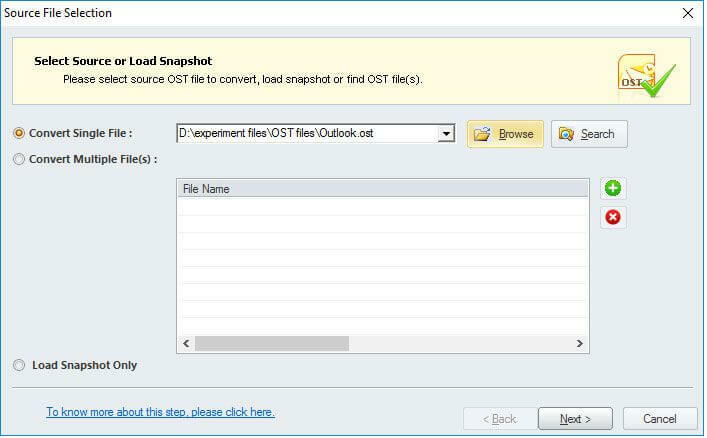 You can filter the important emails and items of OST file that you want to migrate, using Filter option. 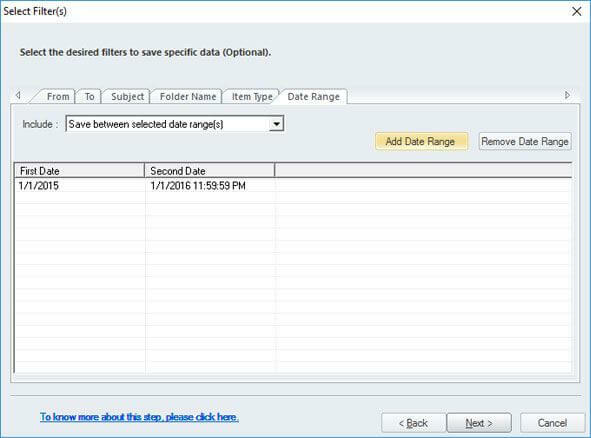 Refine your data items based on item type, date range, folder name and other provided filter fields. 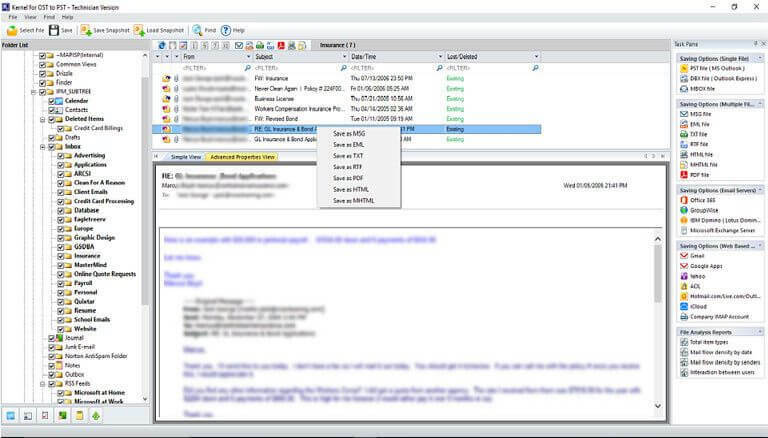 You can save OST emails in different messaging formats like PST, DBX, MSG, EML, TXT, RTF, HTML, MHTML, & PDF. Manage your large-sized PST files with the integrated splitting function that lets you split a PST file after according to a particular size – 1GB, 2GB, 3GB and so on. 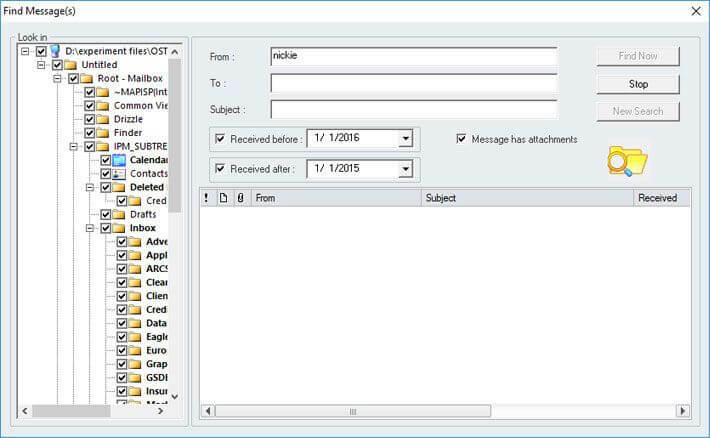 You can immediately find any specific message from OST file using ‘Find’ option and enter the desired keyword to search the specific emails based on these search parameters: from, to, subject, message has attachment, and received before/after. The File Analysis Report feature enables you to generate a graphical report of the total items migrated from OST to PST file. You can create the report based on four different parameters like Mail Flow Density by Date, by senders, item types, and interaction between users. Trial version lets you view and open the entire OST data items including deleted emails, attachments etc.) 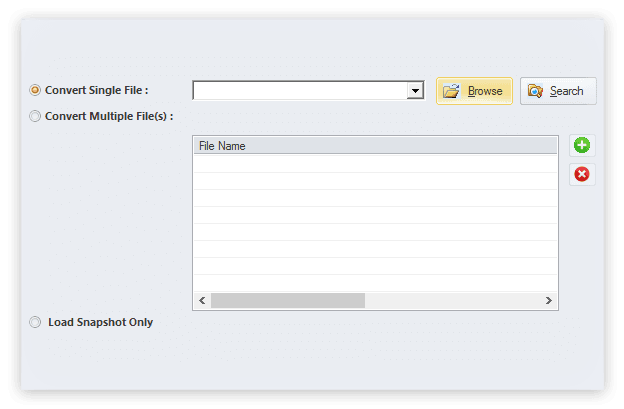 However, you can save up to only 25 items from each folder to PST or some other format free-of-cost. SelectIn the first step, select the source OST file by clicking the “Browse” button. PreviewAfter the successful completion of recovery process, the software displays the preview of restored mailbox items. SaveIn the final step, select the mailbox folder(s) that you want to save and click on “Save” button. Run Kernel for OST to PST tool. Preview OST file content before saving. 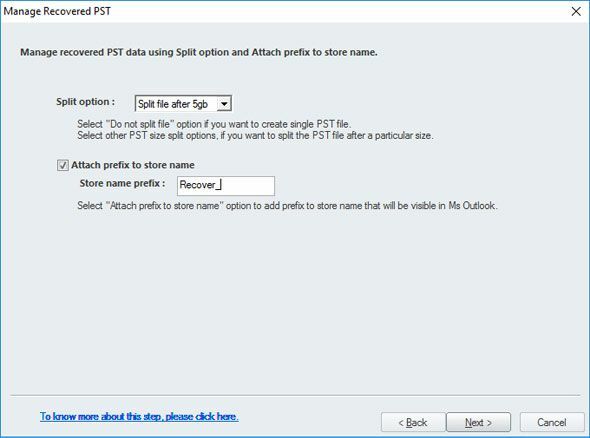 Choose PST format among desired Output file format from the list of options. 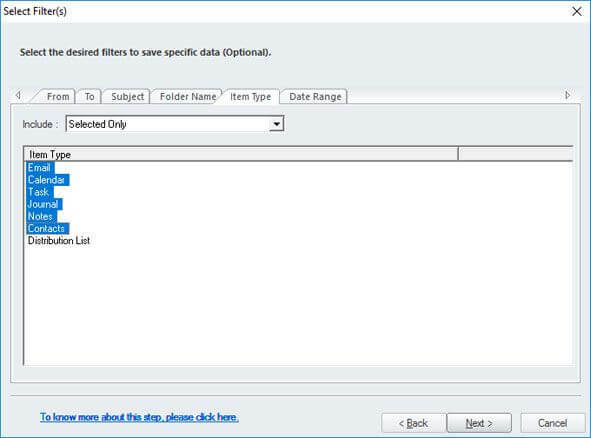 Select desired data filters and convert selectively. Set destination path and Finish conversion. Where can I find my OST file? Does the converter migrate attachments, contacts, calendars from OST to PST? Yes, the tool does. The solution lets you to recover and migrate all mailbox items such as emails, attachments,drafts, contacts, tasks, calendars, etc. from OST file to PST file. Will the tool make any changes to my OST data after conversion? No, it does not. The OST to PST converter simply scans your OST file and recovers the entire data without making any alterations to its data integrity. The tool preserves the full mailbox hierarchy, and properties after the conversion. Can the tool convert very large-sized OST file to PST file? Yes, it can. The tool can smoothly convert any size of OST file to PST file, without worry about the file size restriction. 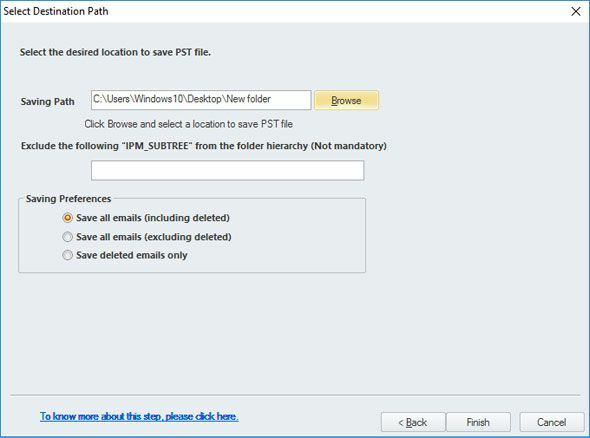 Also, the tool lets you to specify the size after which you want to split the PST file, to make it safer and manageable. I am not connected to Exchange Server. Can I use this tool? OST to PST tool doesn’t need a live Exchange connection for its working. So you can use this tool for OST to PST conversion even without Exchange connection. I don't want to convert OST files to PST. But just would like to read some of the OST emails. How can you help? You can do this even without buying the tool. The free version of our solution offers the preview of entire OST data. So please try it. You even can save a few emails (25 items from every folder) to some selected formats. 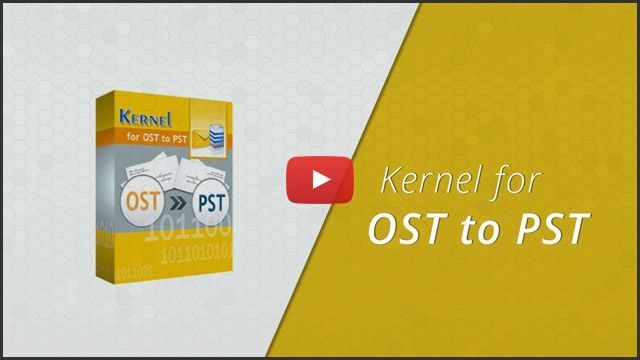 Kernel for OST to PST is offering conversion of the entire data with complete integrity. What’s the assurance? Great support ,I did't go wrong with choosing this solution. Peview of OST mailbox items before saving. 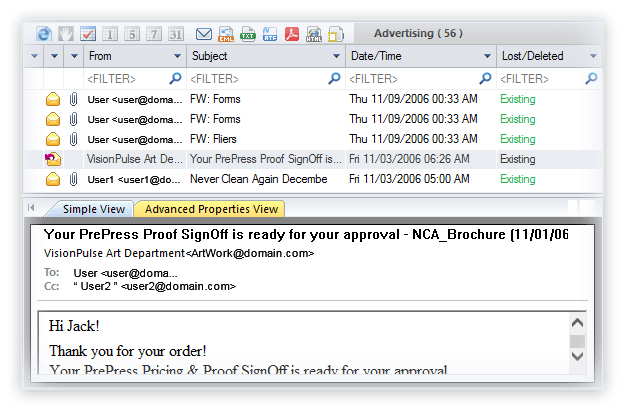 Select and save emails to the desired format. 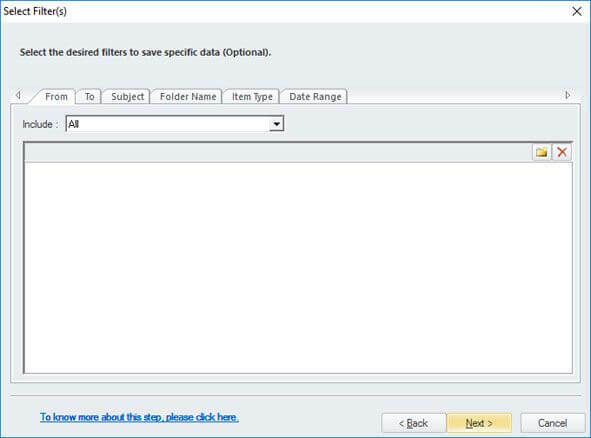 Filter mailbox data and convert selectively. Select the required item types and convert specific items only. Date wise filtering of mailbox data. Provide PST splitting specifications and prefix information. 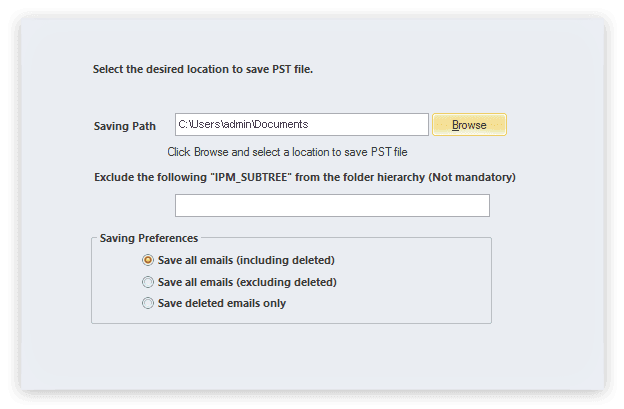 Specify the location to save the PST File. 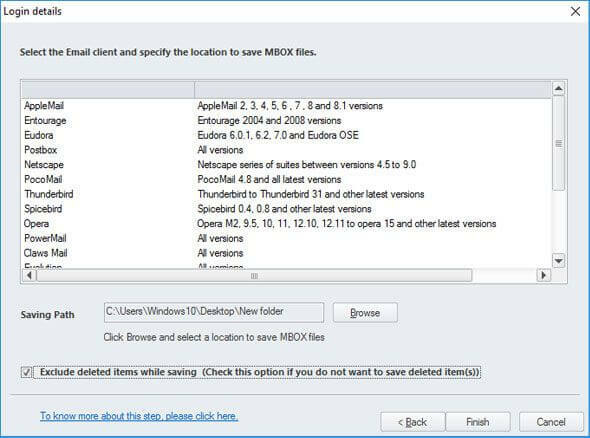 Saving OST data in MBOX email clients. 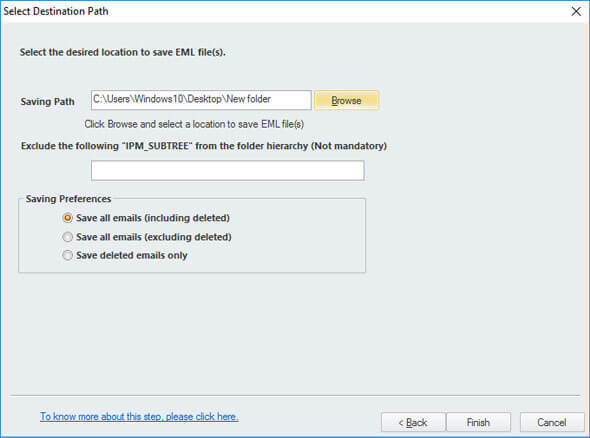 Saving emails in EML files. Repair corrupt EDB files and save to PST, Exchange, and Office 365. Quickly import Outlook OST/PST files to Office 365 mailboxes.